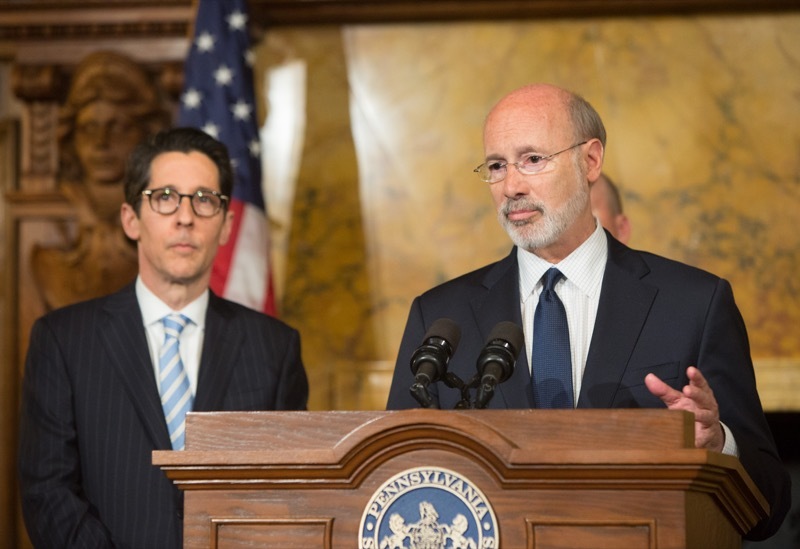 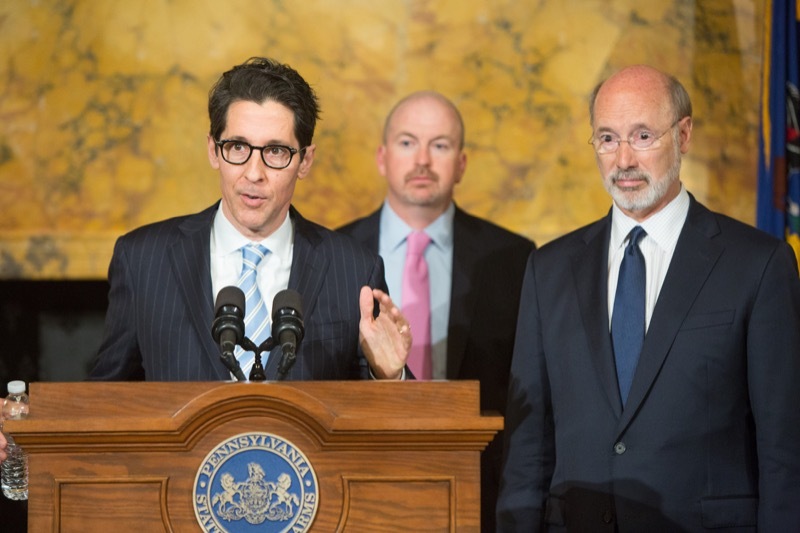 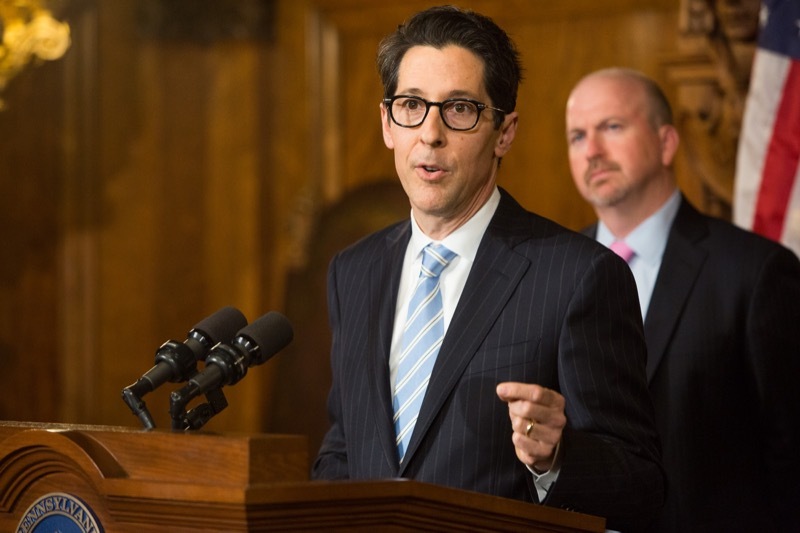 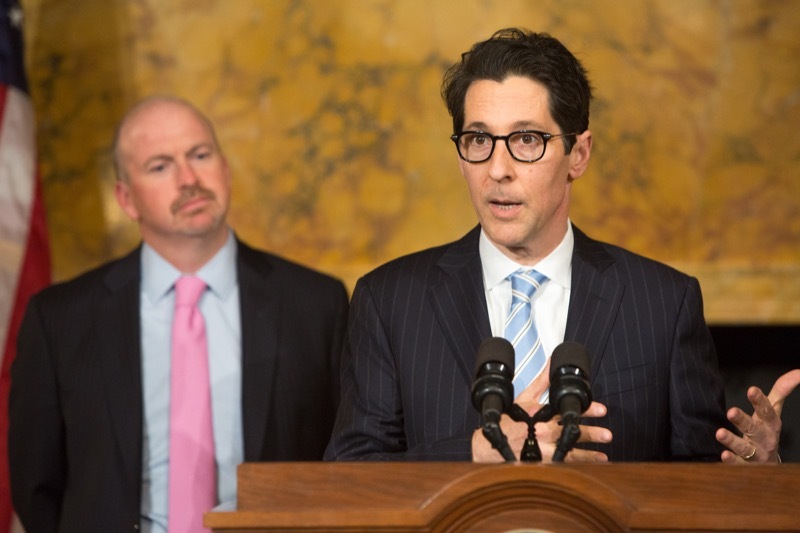 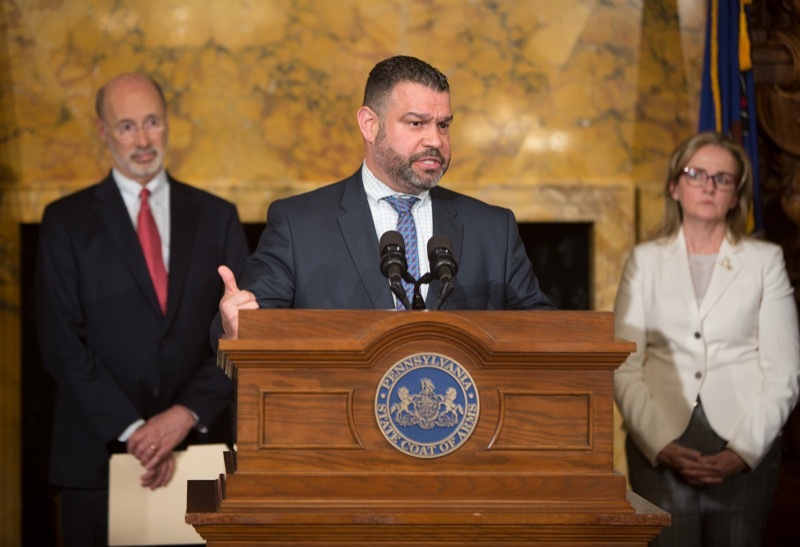 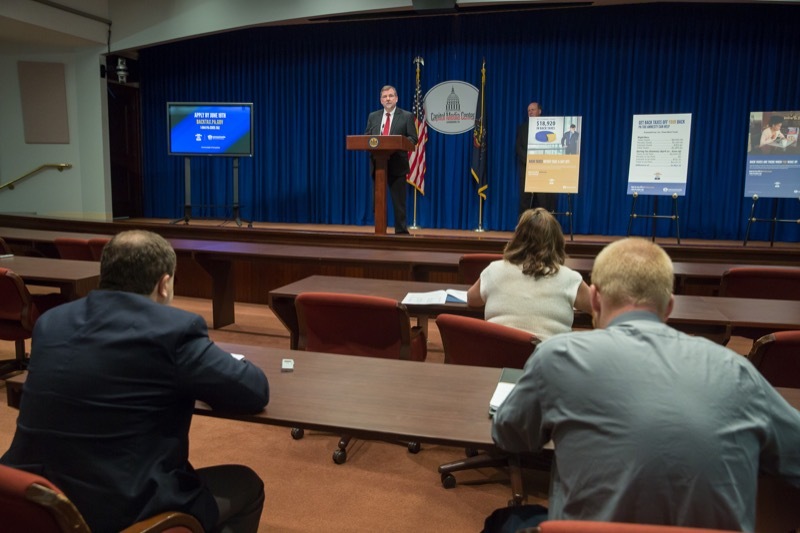 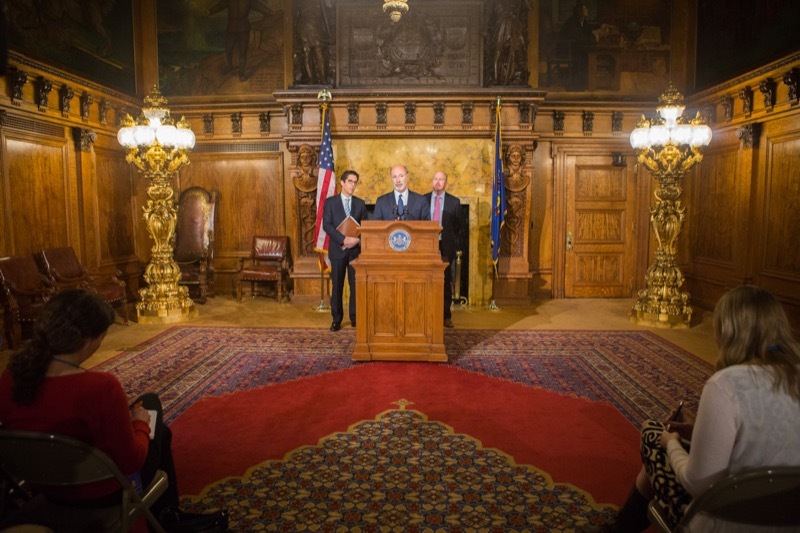 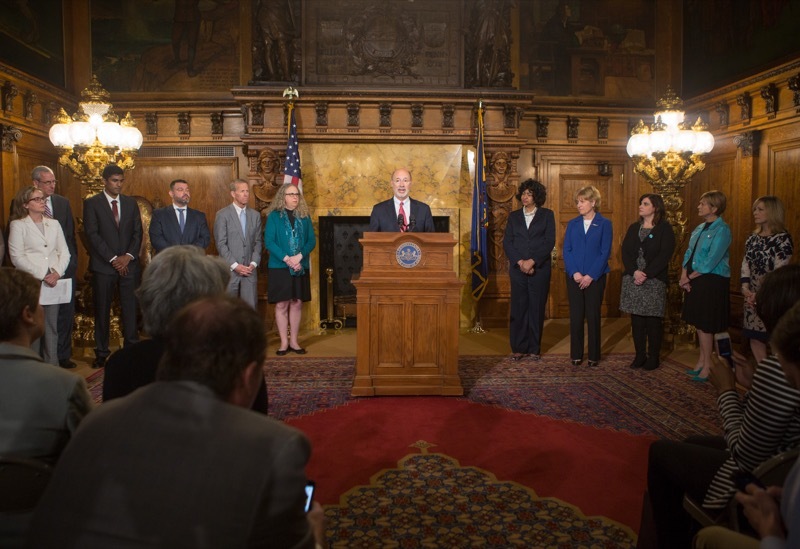 Today, Governor Wolf joined State Treasurer Torsella to host a press conference at the Capitol about SERS and PSERS Passive Investments. 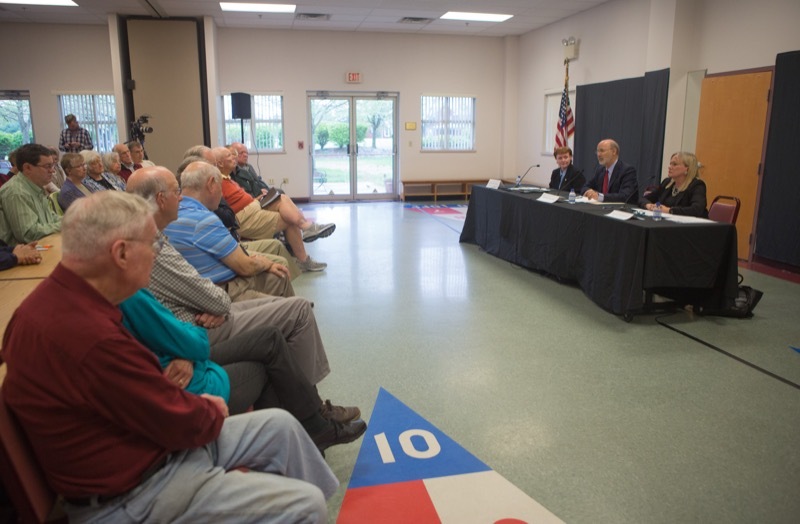 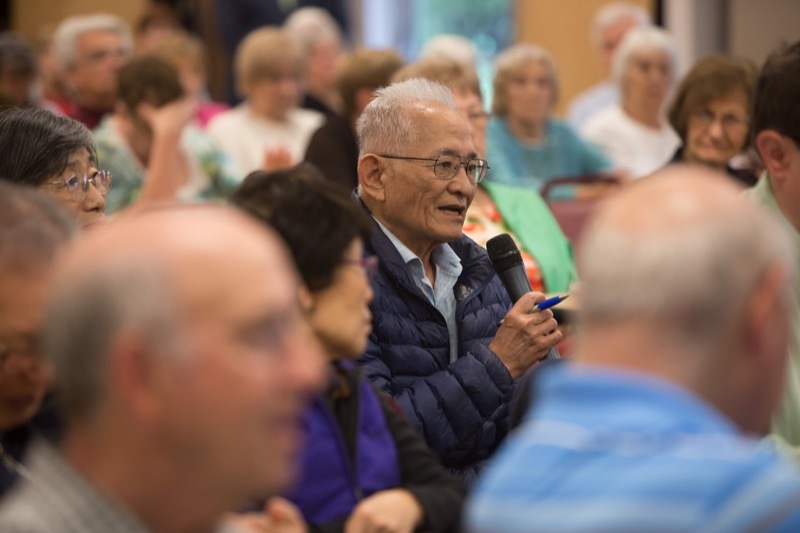 The two discussed the benefits of reducing investment costs by moving away from Wall Street money managers, implementing administrative efficiencies, and increasing savings opportunities. 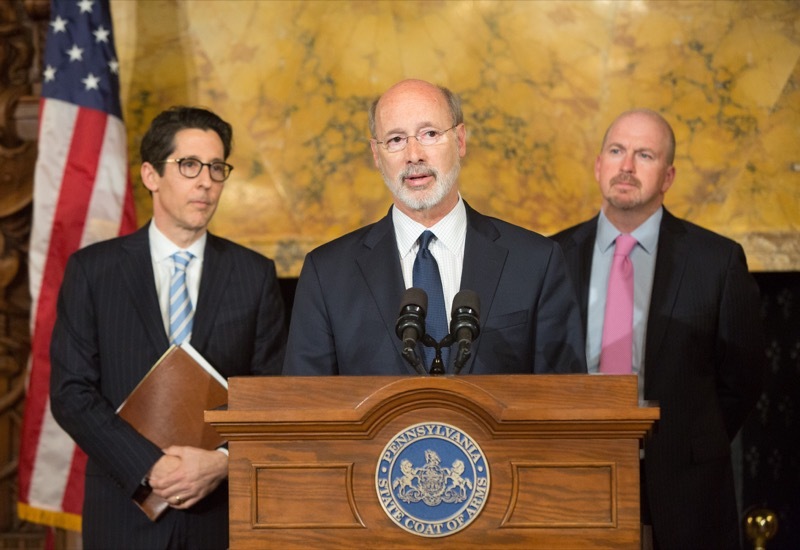 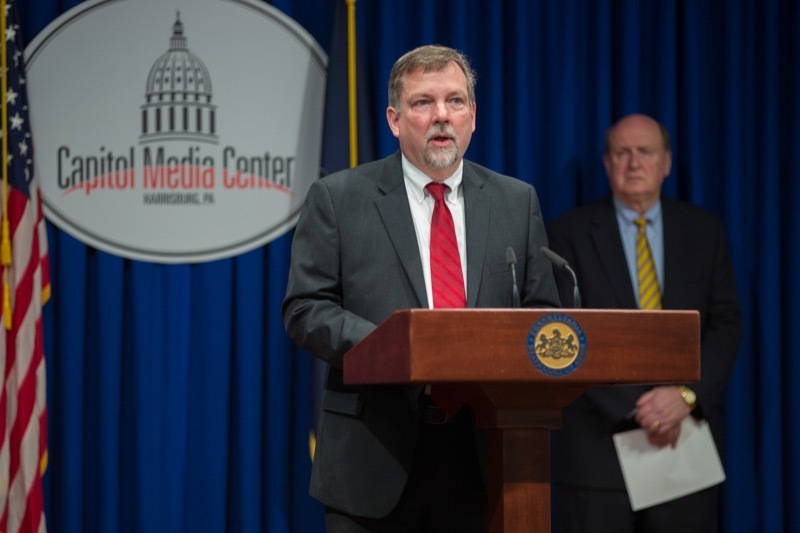 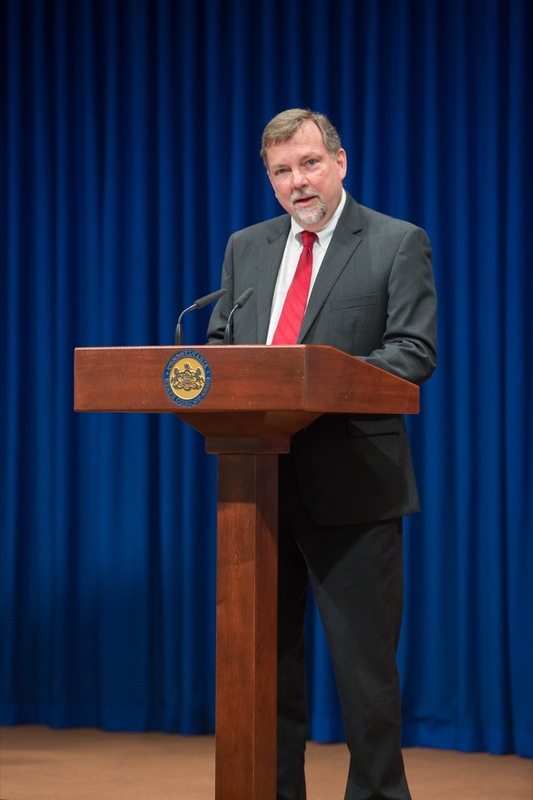 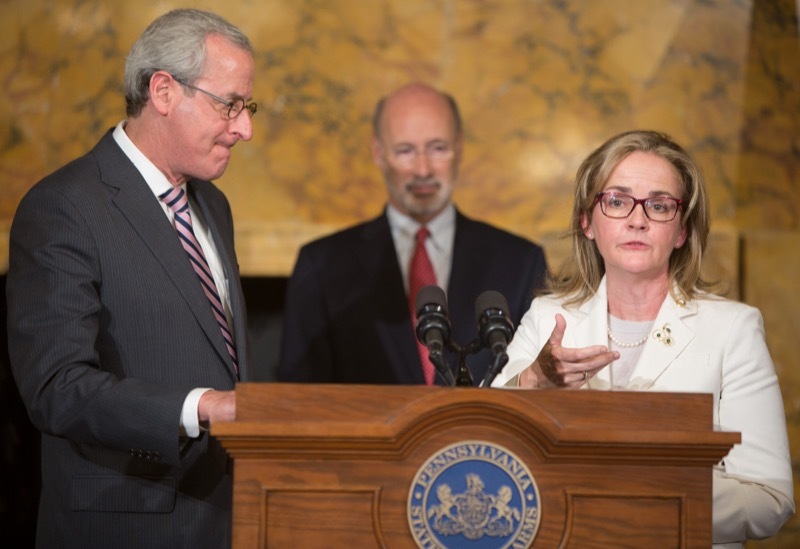 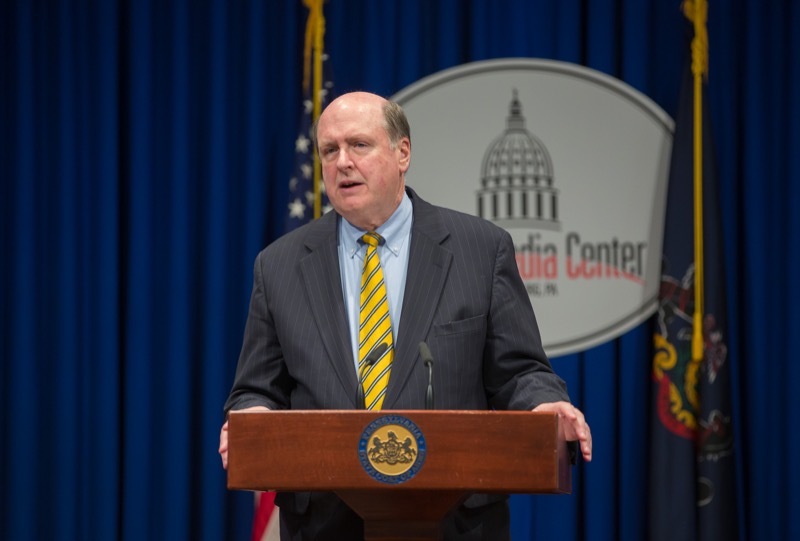 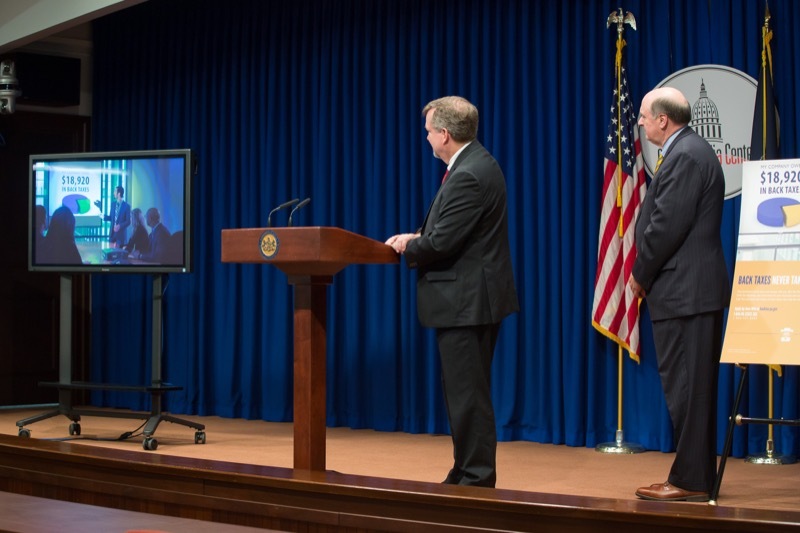 The Pennsylvania Department of Revenue today announced the launch of a Tax Amnesty program. 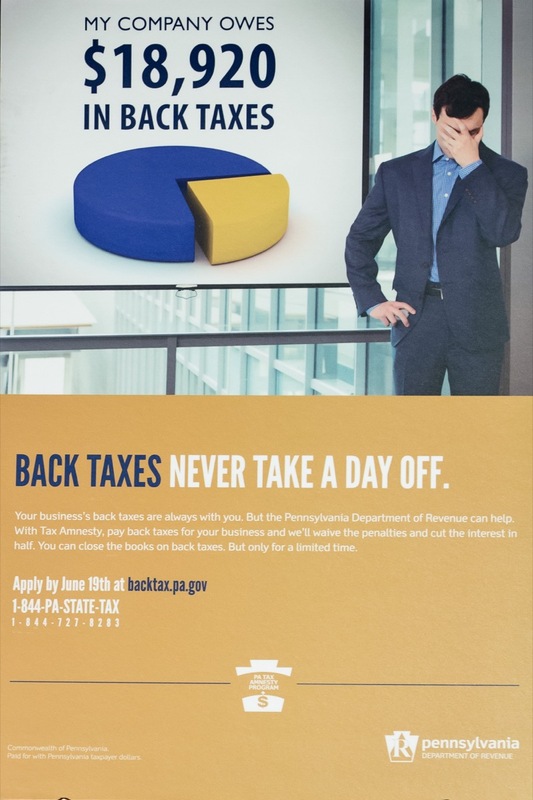 Eligible individuals and businesses can apply now through June 19, 2017 to pay past-due state taxes and have all penalties and half of the interest waived. 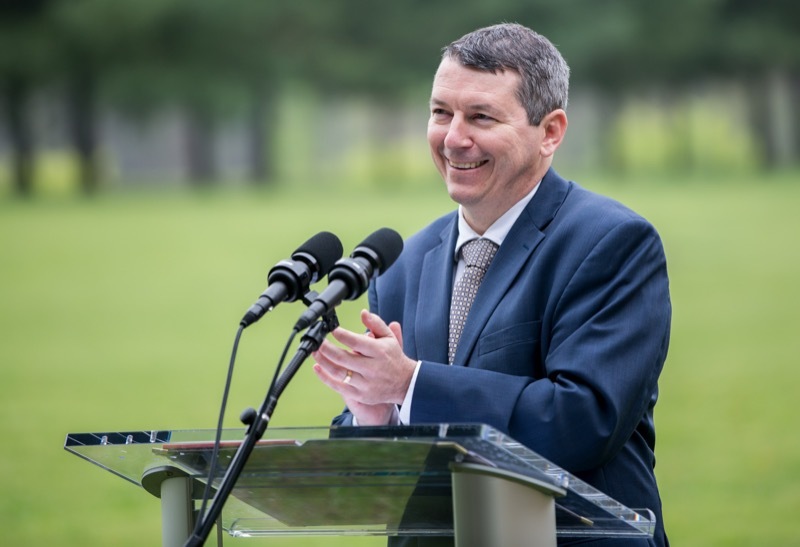 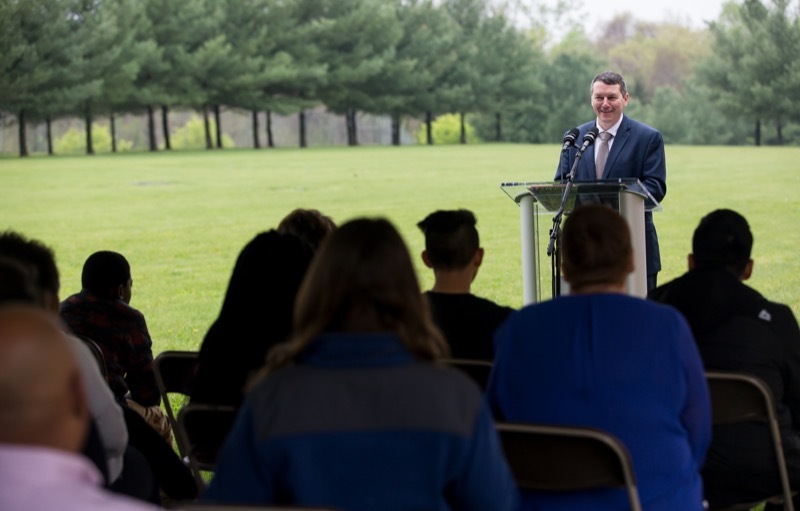 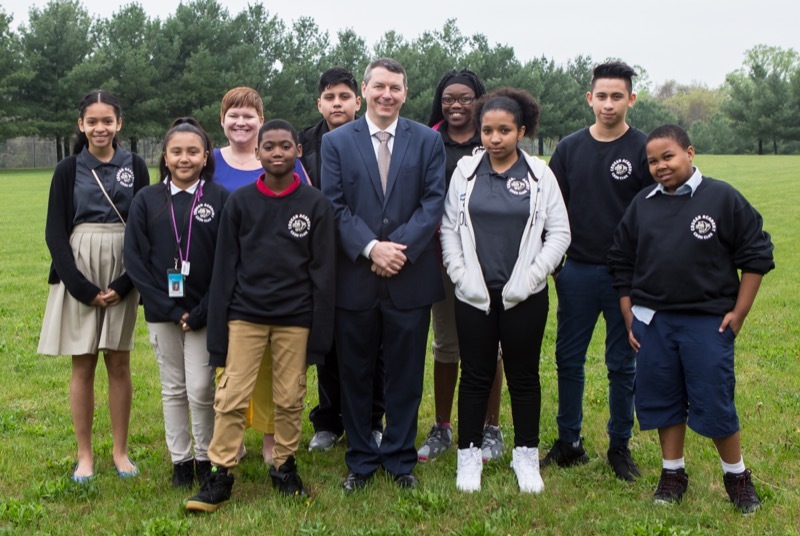 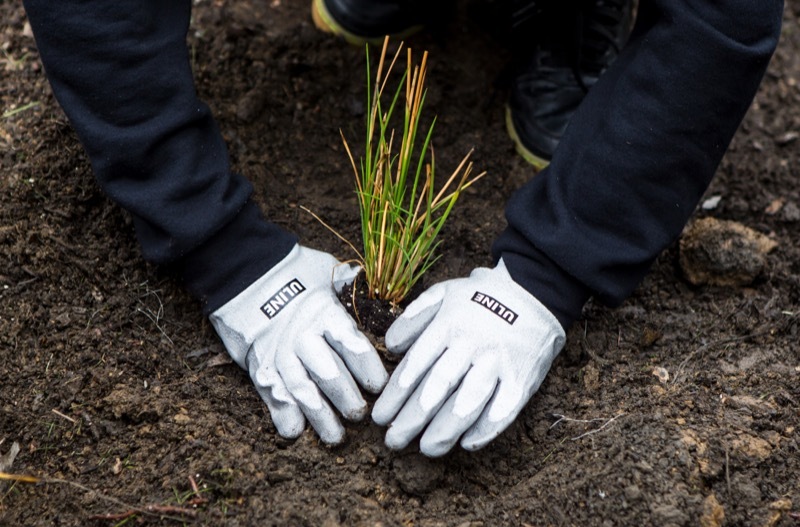 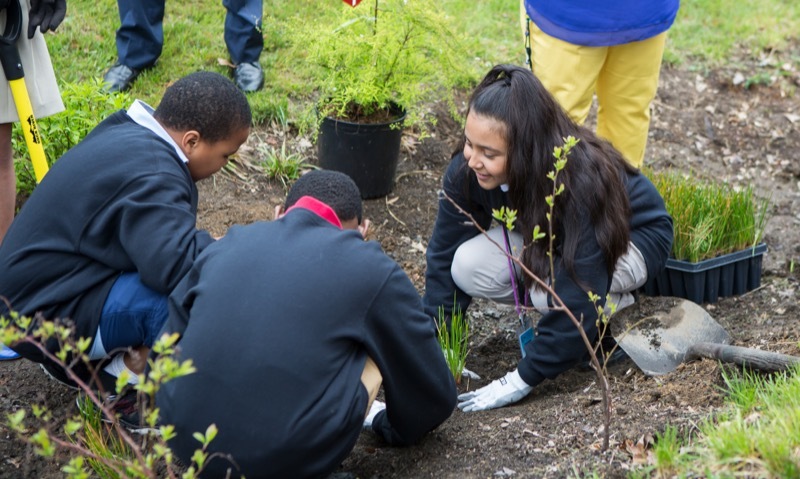 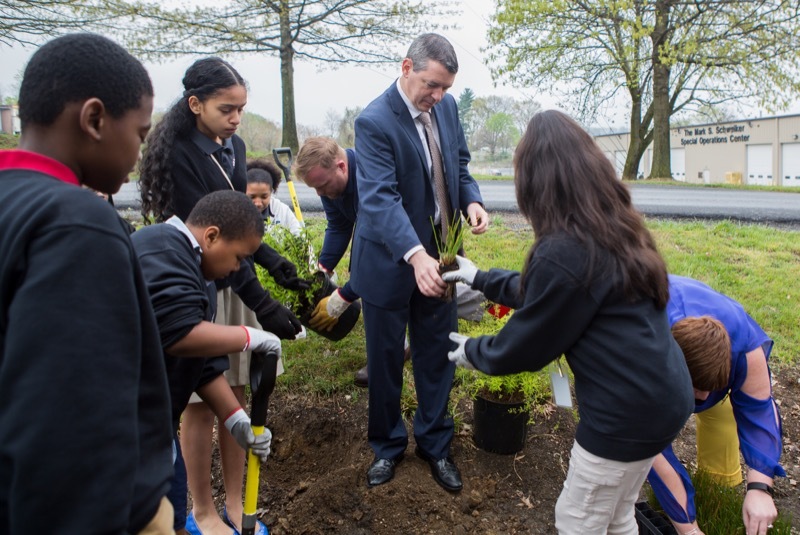 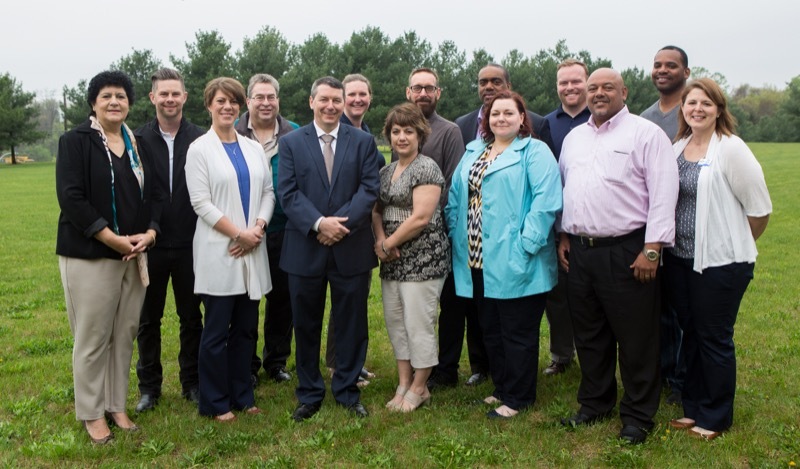 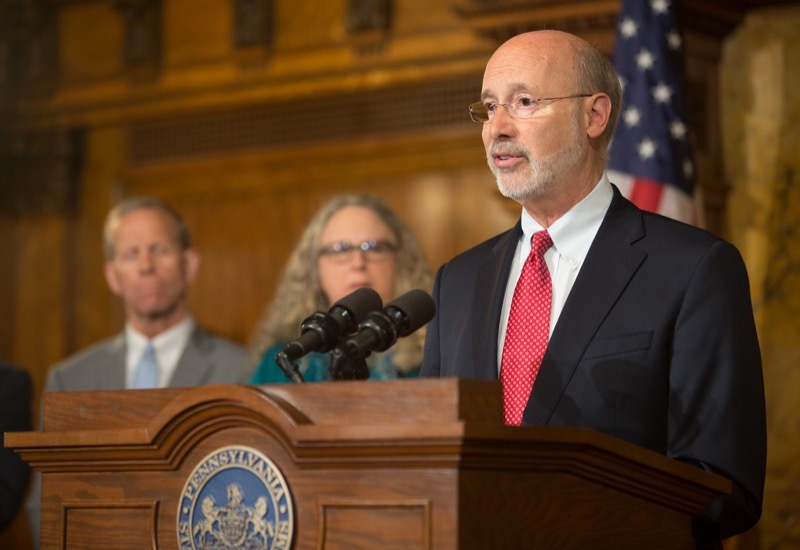 Governor Tom Wolf announced today that 79 projects statewide are receiving almost $1.2 million in Environmental Education Grants from the Department of Environmental Protection (DEP) in 2017. 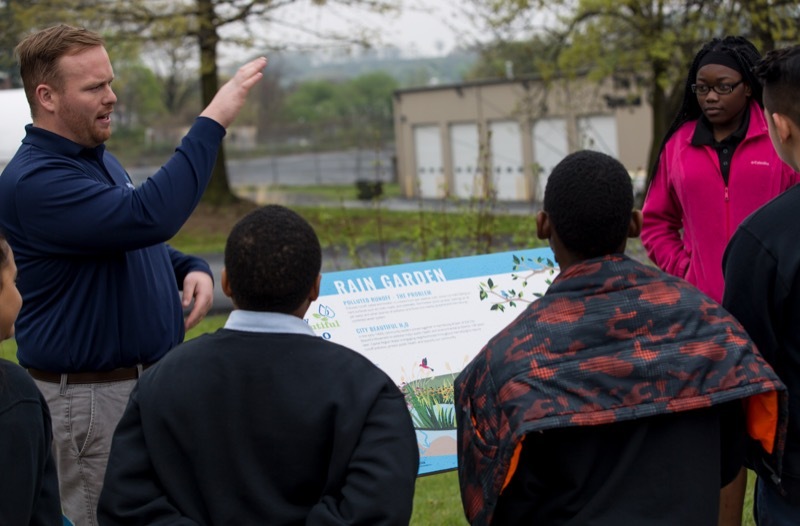 Governor Tom Wolf announced today that 79 projects statewide are receiving almost $1.2 million in Environmental Education Grants from the Department of Environmental Protection (DEP) in 2017. 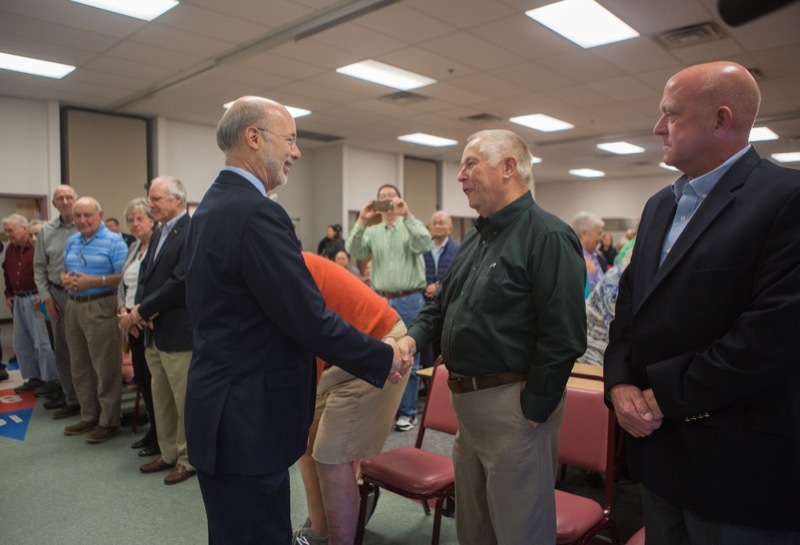 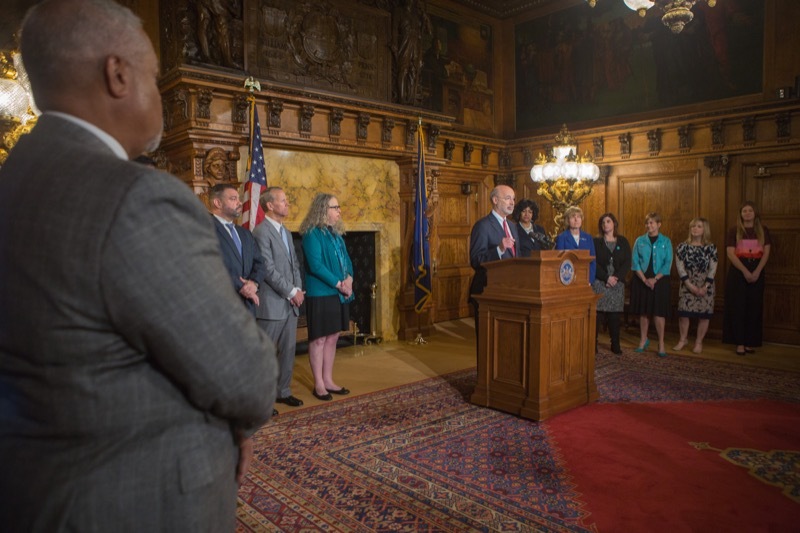 'Through the DEP Environmental Education Grants, Pennsylvanians of all ages gain knowledge of the natural world, appreciation for the importance of a healthy environment, and an understanding of the need for environmental protection and sound resource management,' said Governor Wolf. 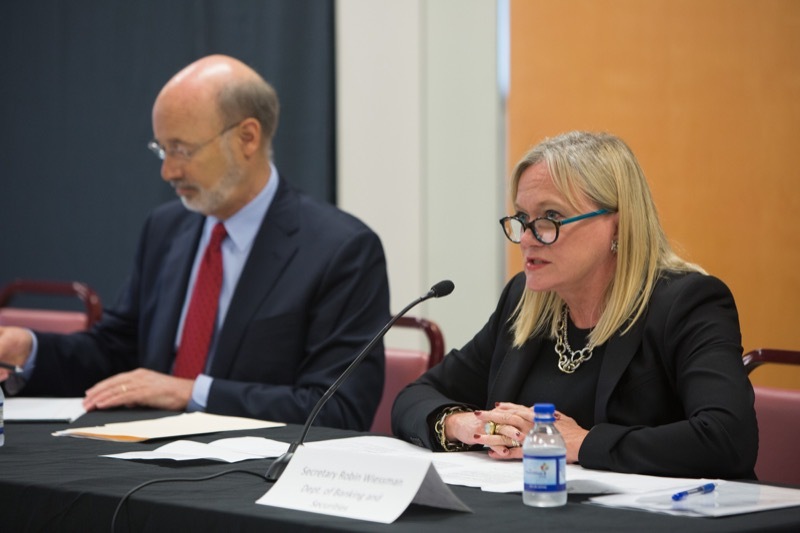 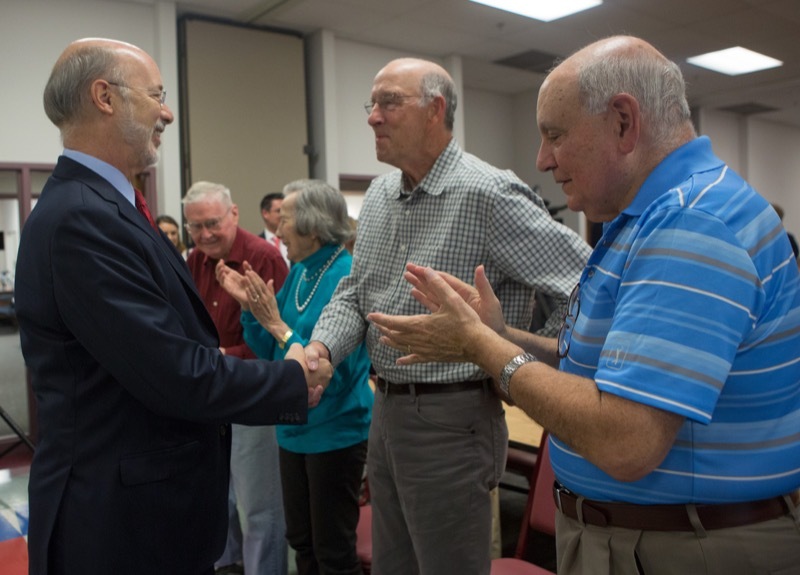 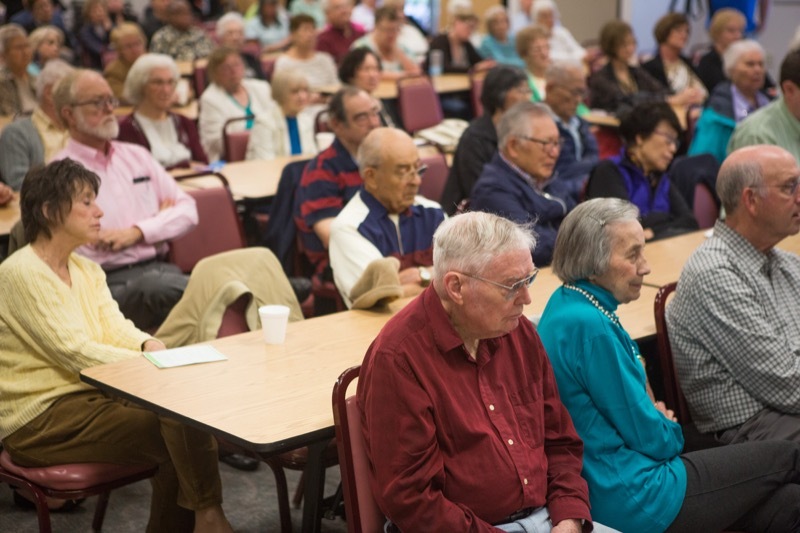 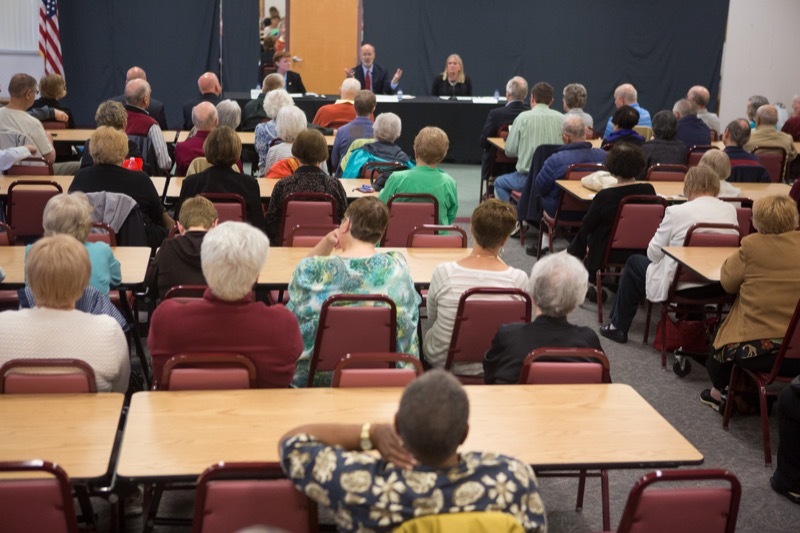 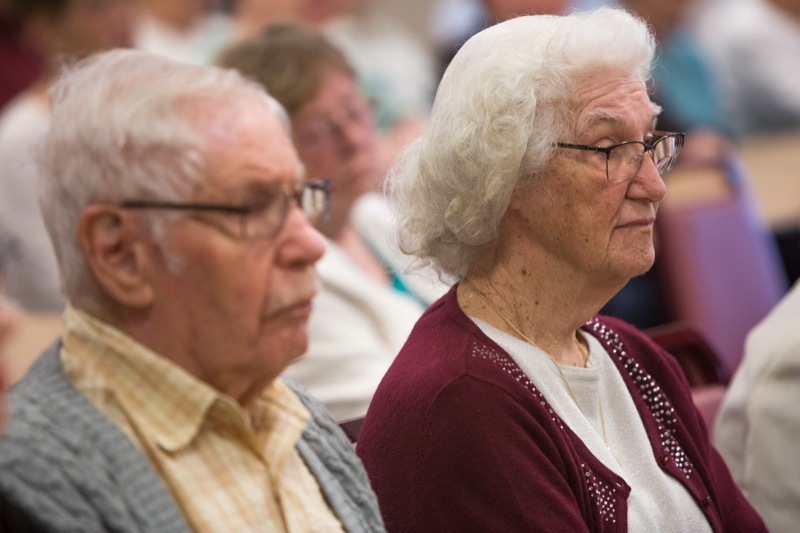 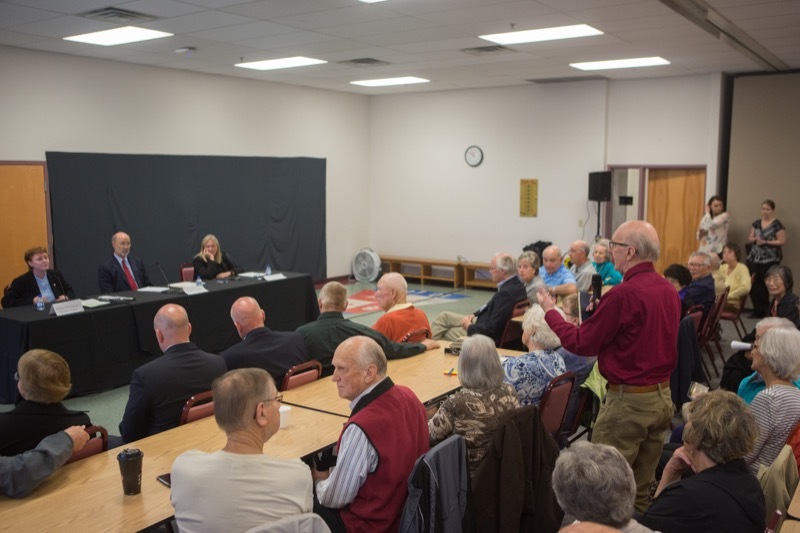 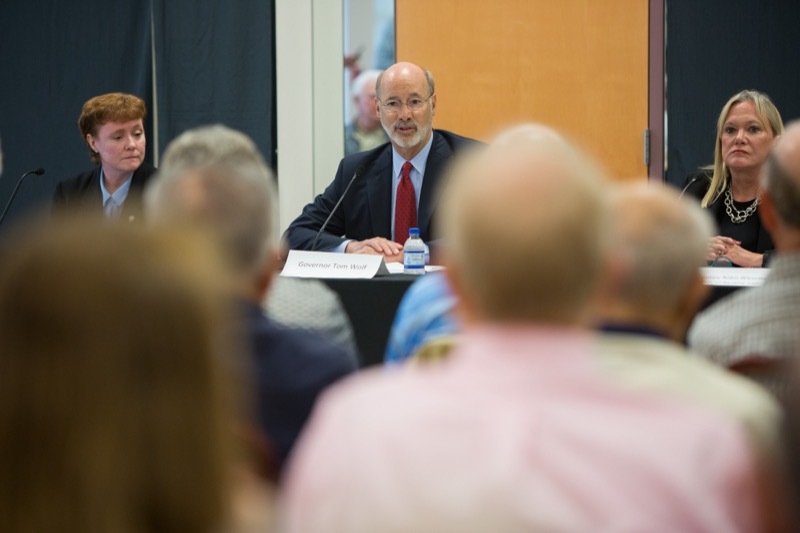 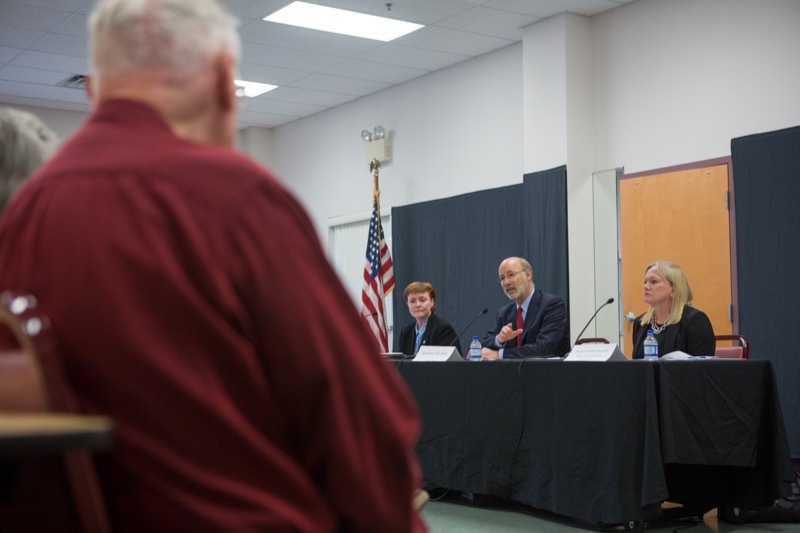 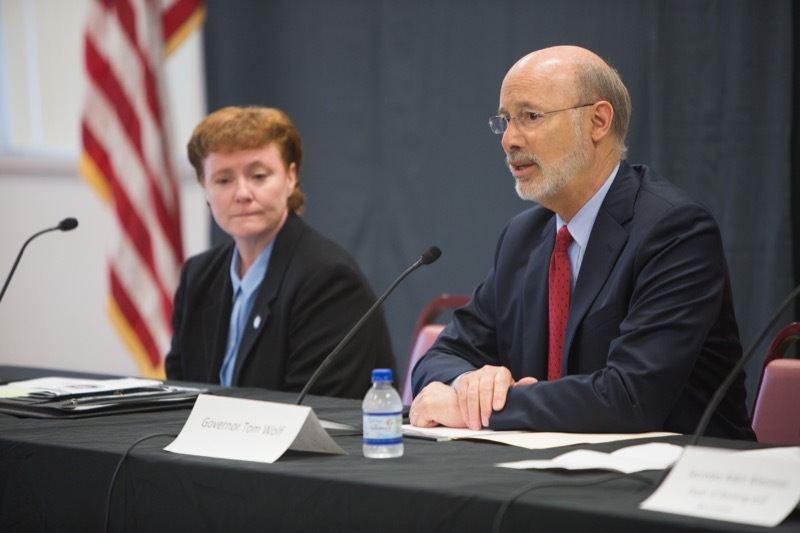 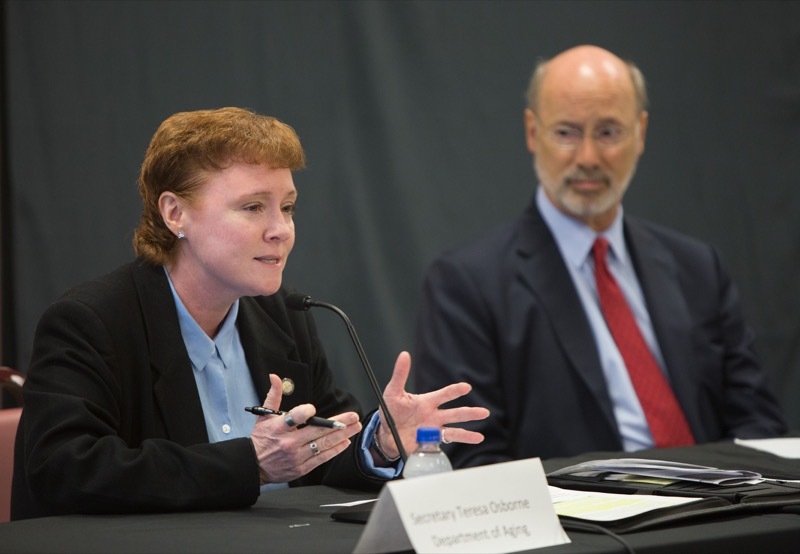 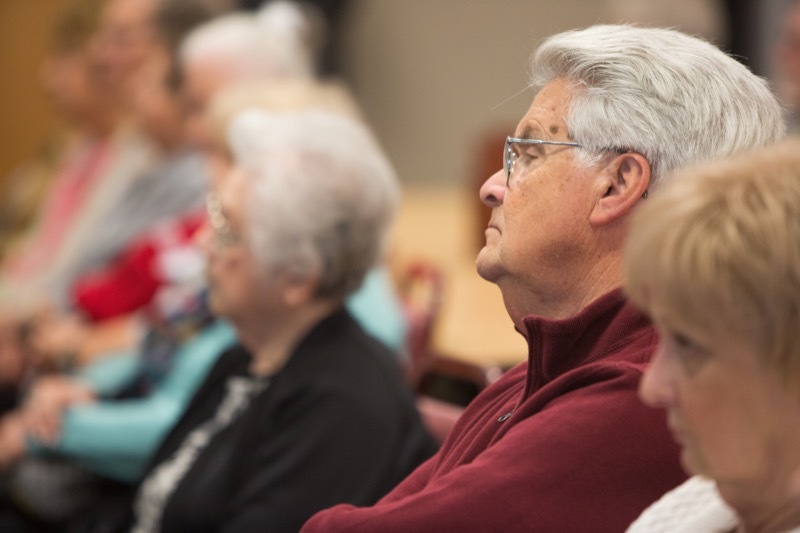 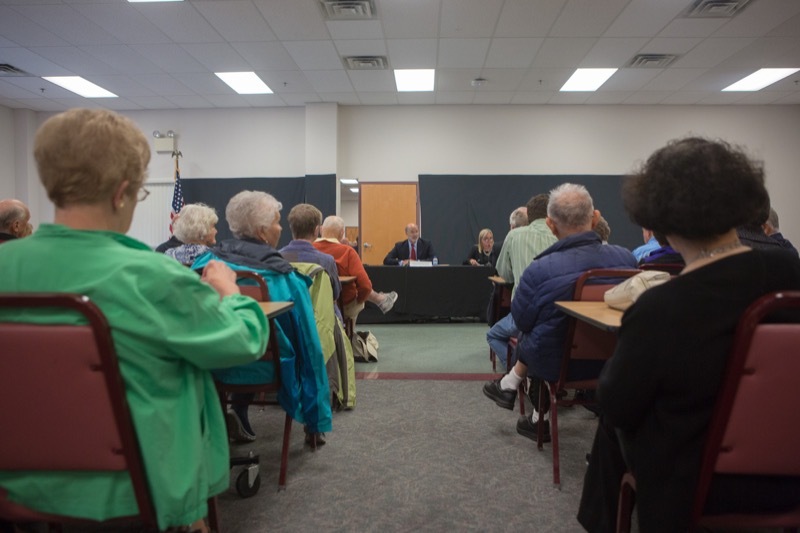 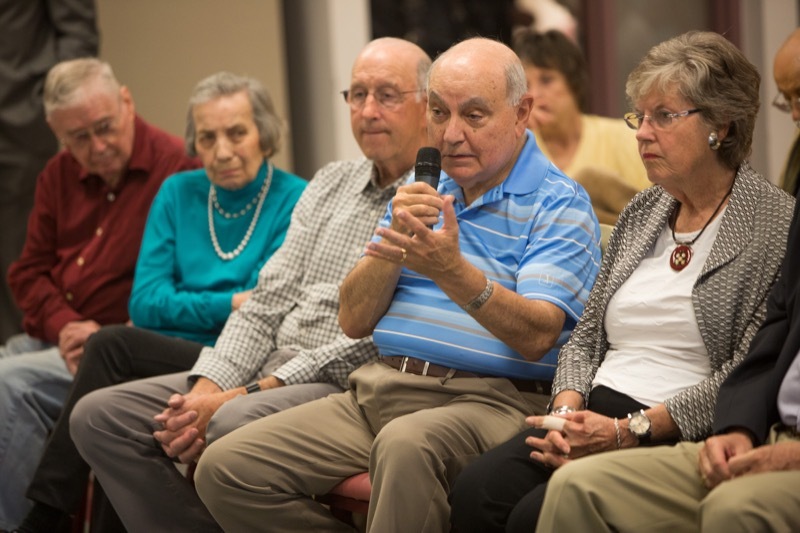 Governor Tom Wolf today joined Department of Banking and Securities Secretary Robin L. Wiessmann and Department of Aging Secretary Teresa Osborne to discuss measures the Wolf Administration has taken to help protect senior citizens from financial scams and fraud. 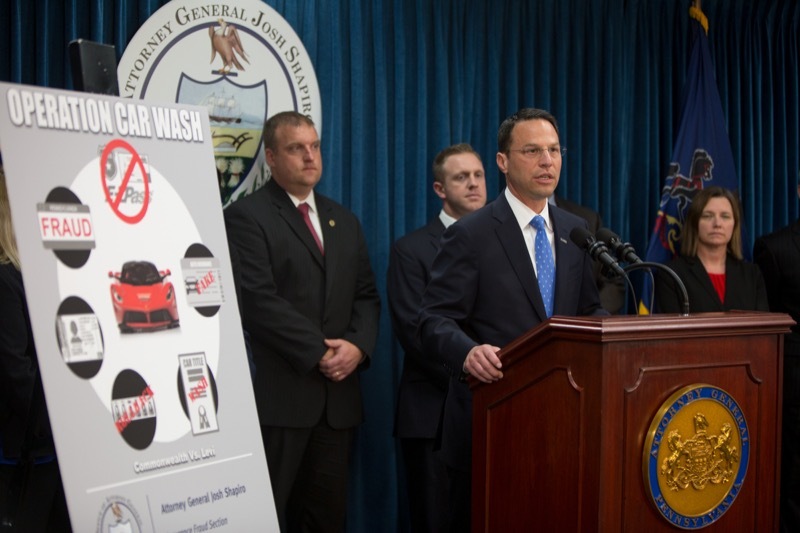 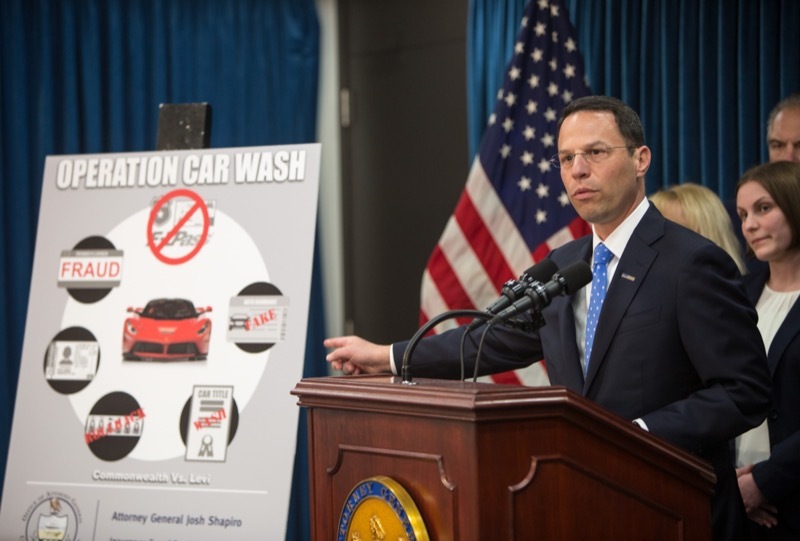 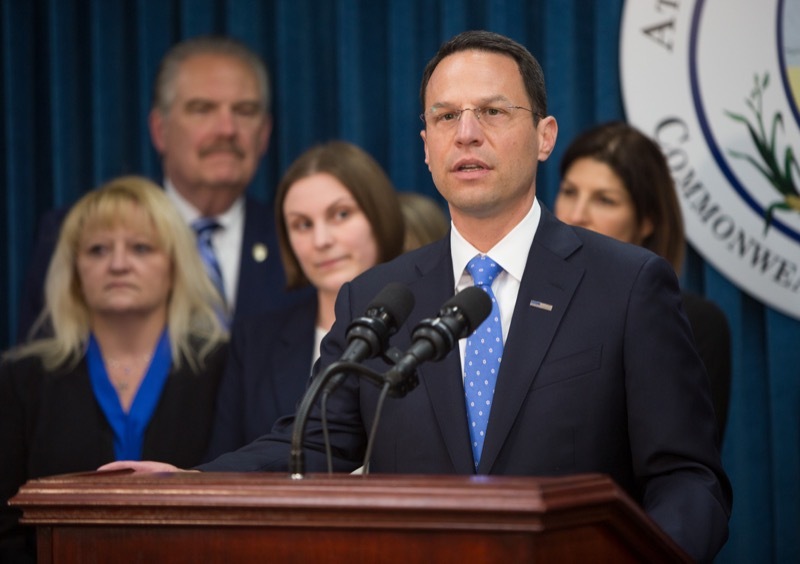 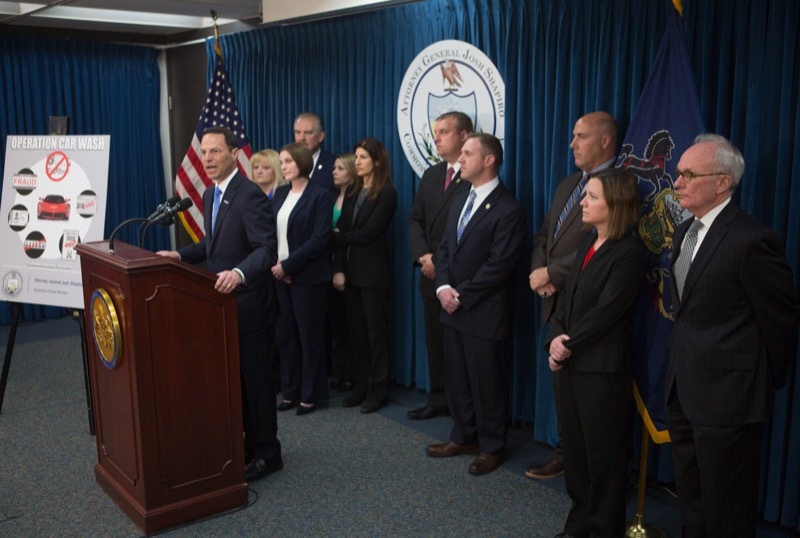 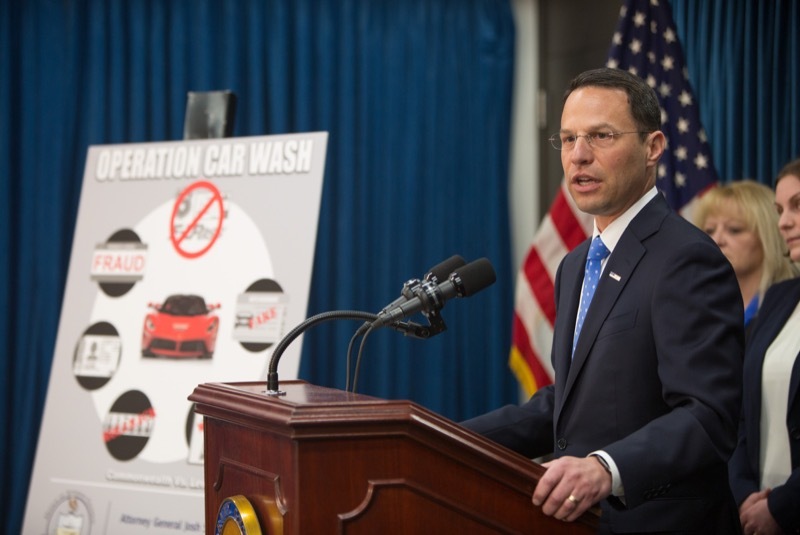 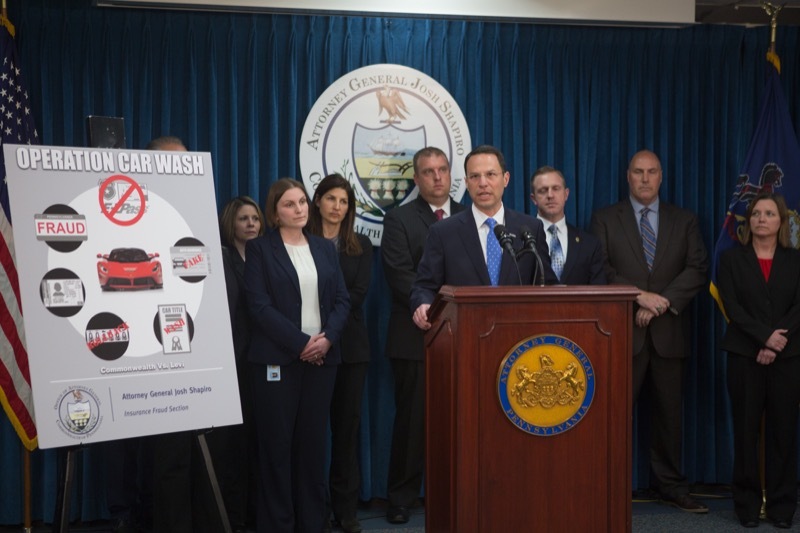 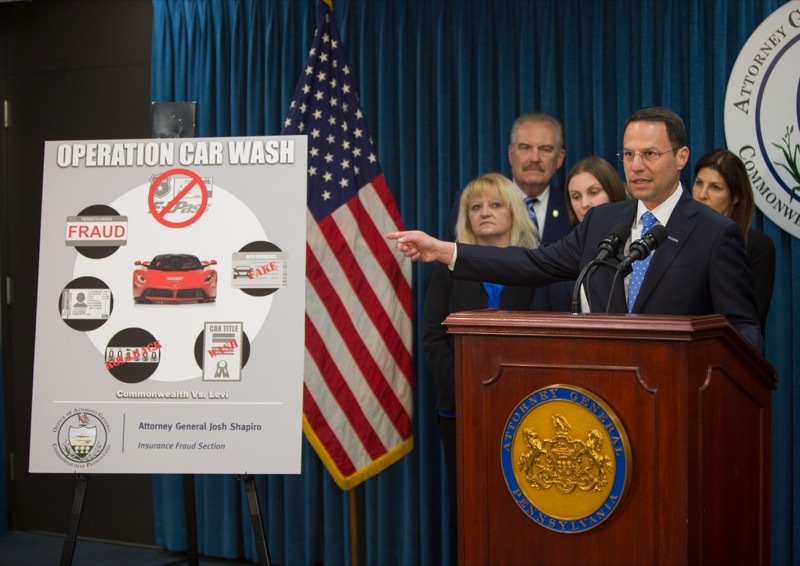 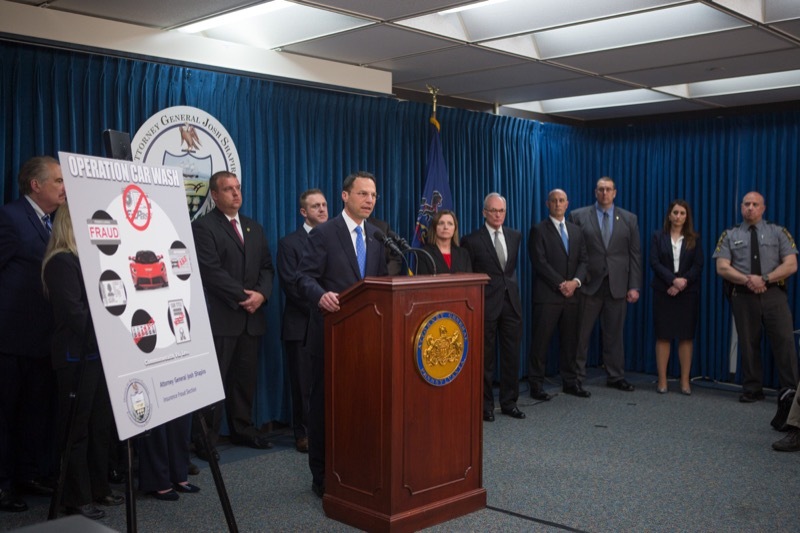 Attorney General Josh Shapiro today announced criminal charges against a dozen people accused of taking part in a major organized crime ring that fraudulently obtained more than a thousand Pennsylvania license plates and used them to fuel a massive criminal enterprise involving automobiles in multiple states. 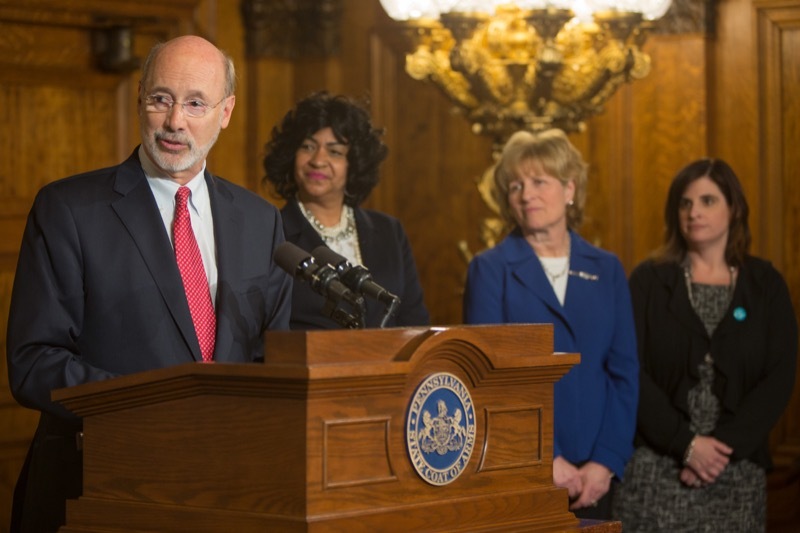 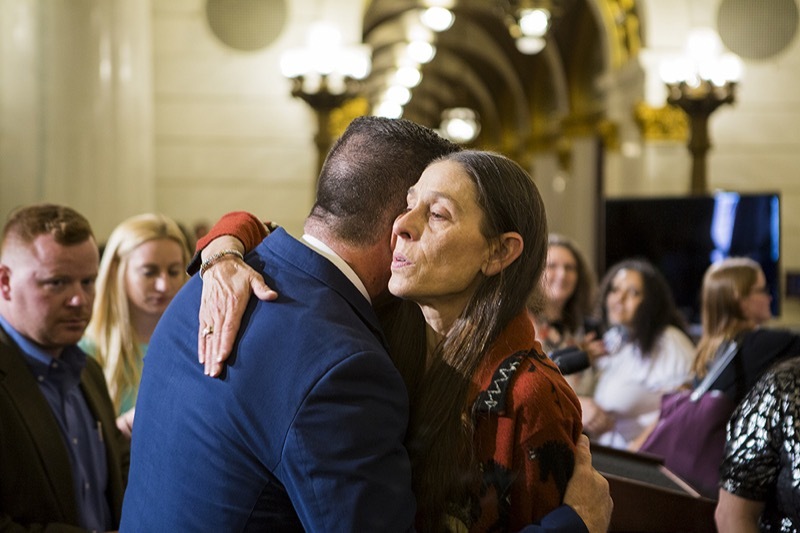 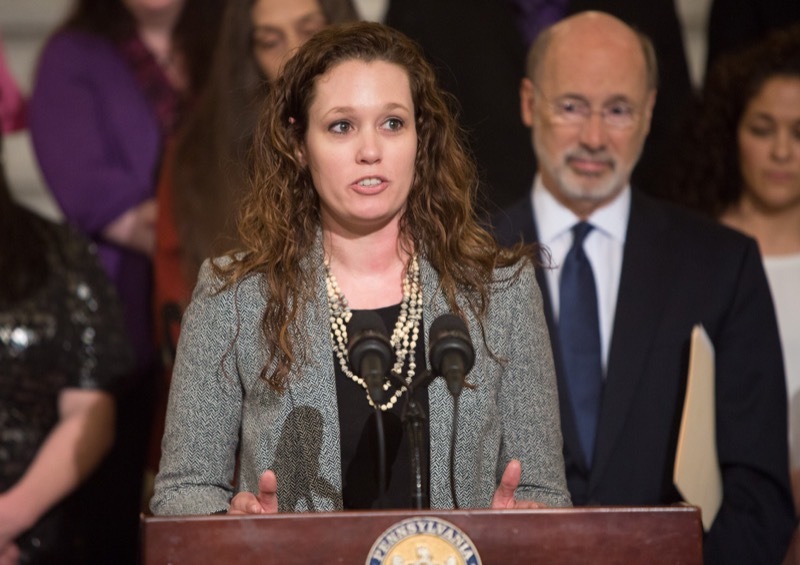 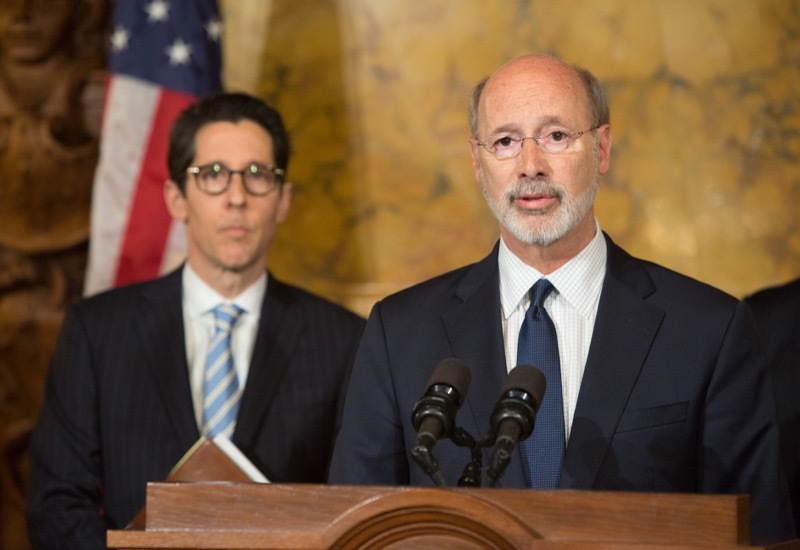 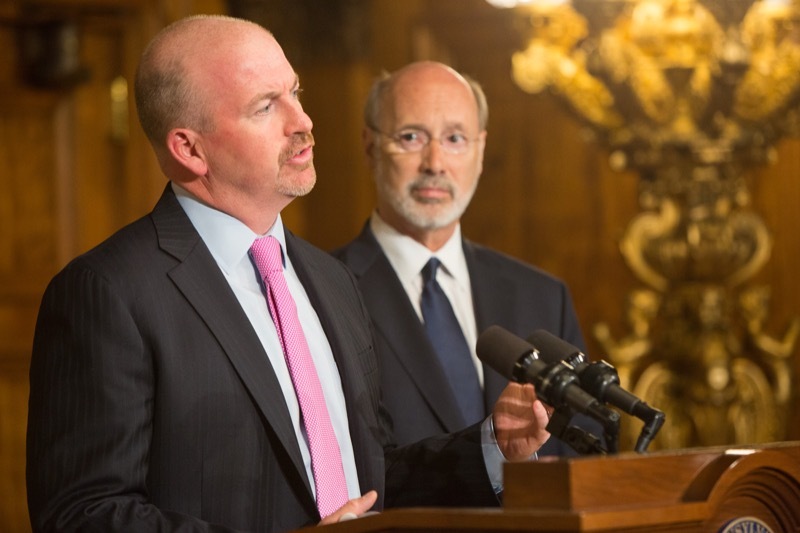 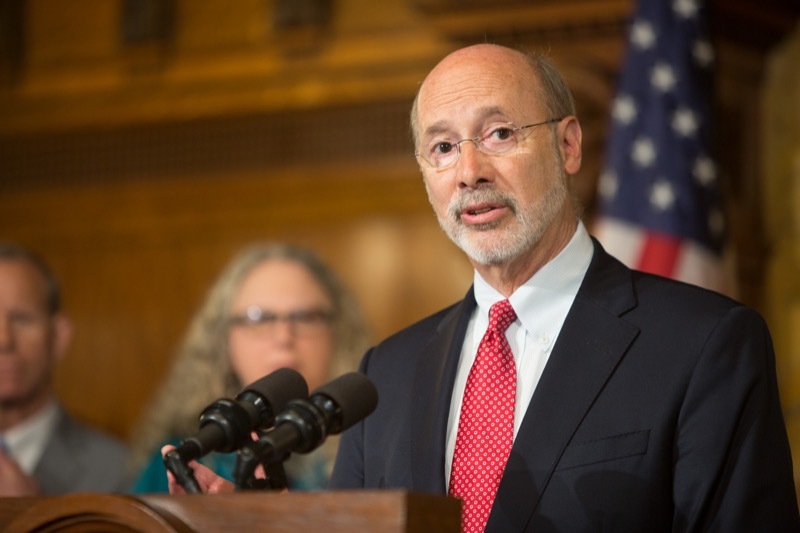 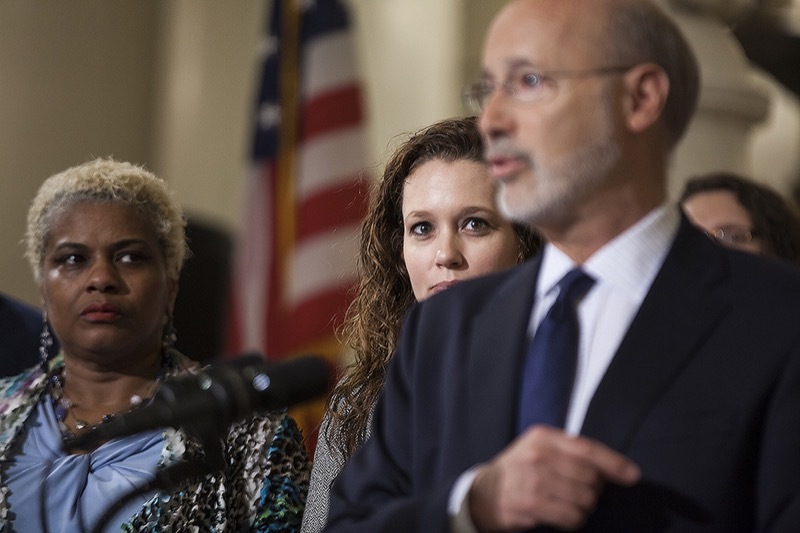 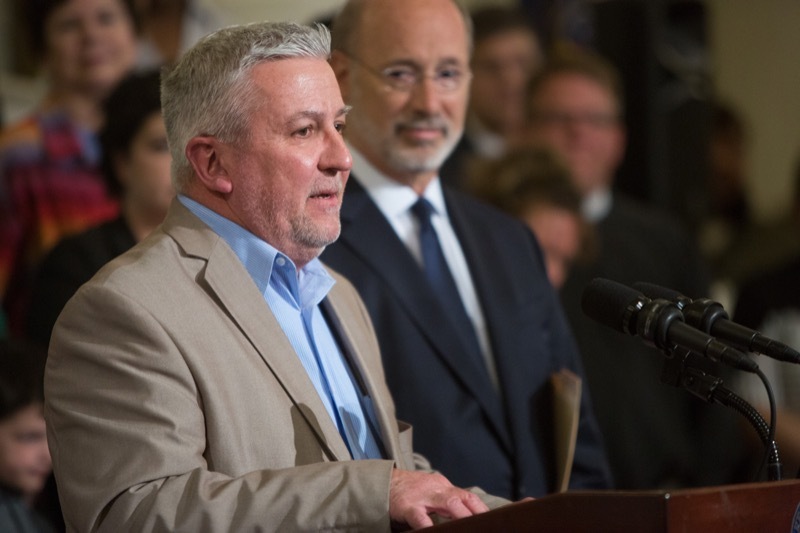 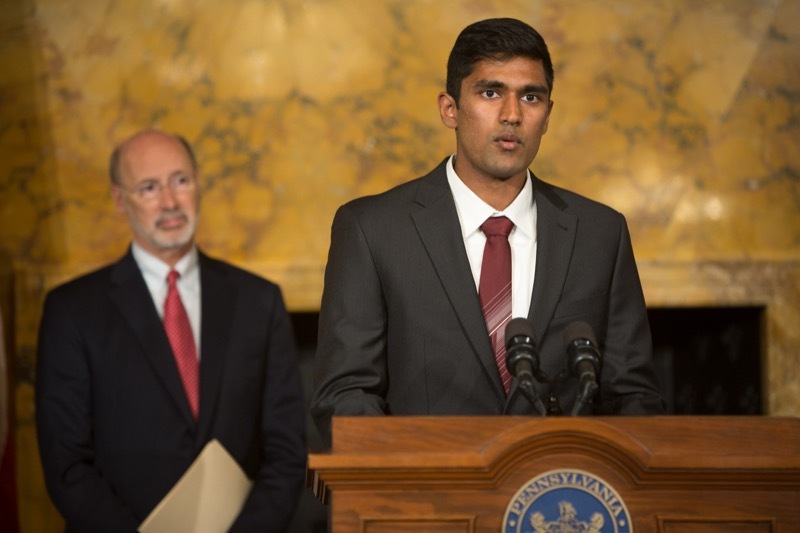 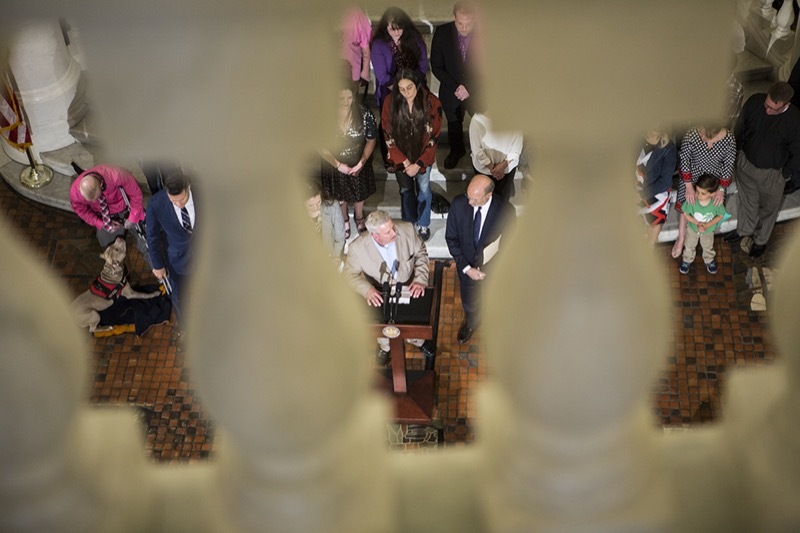 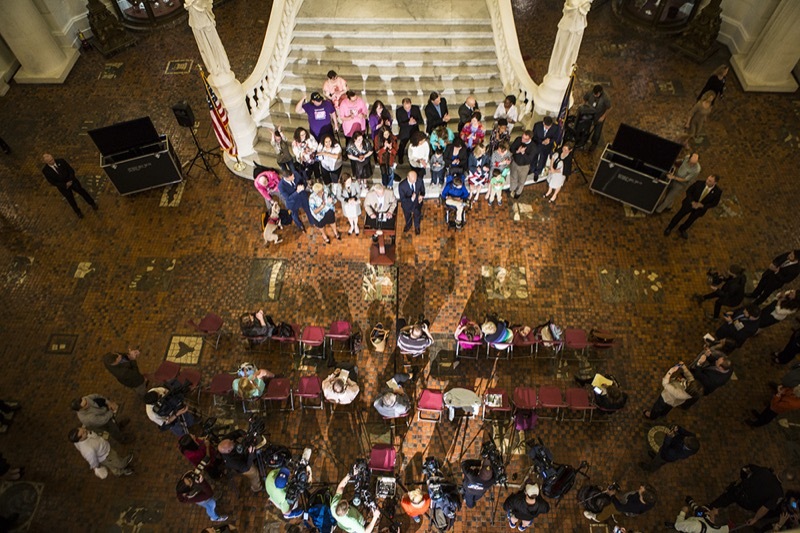 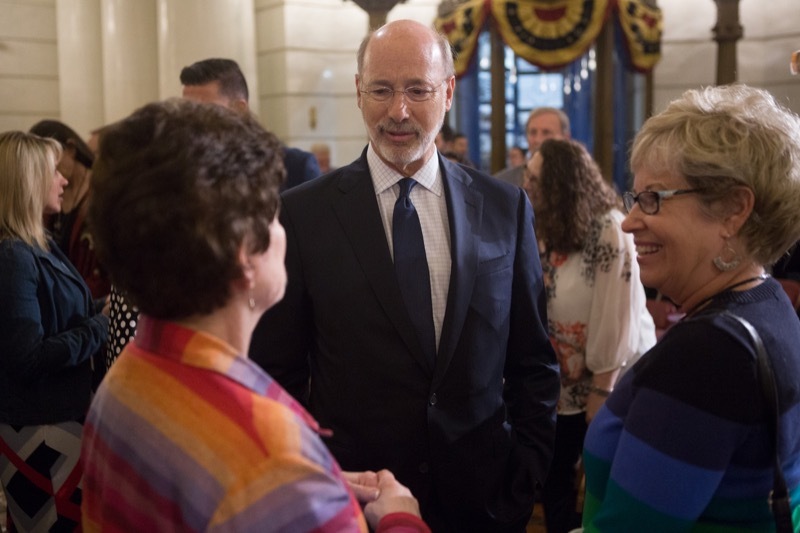 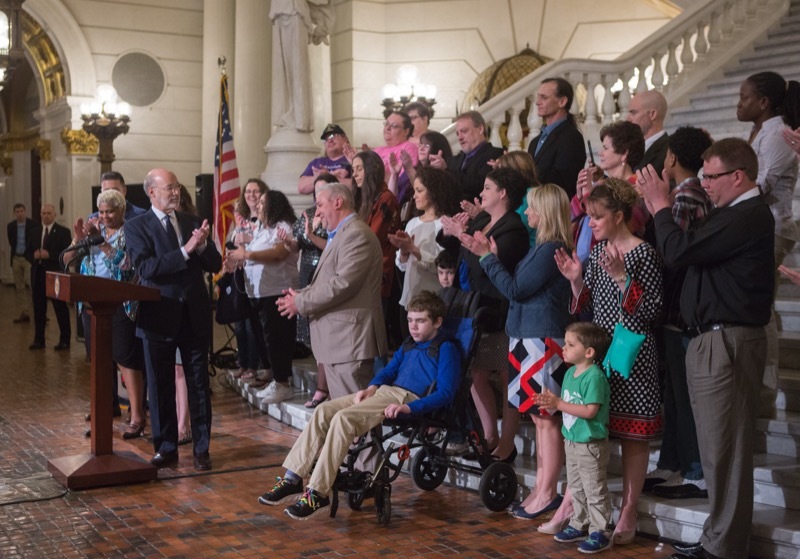 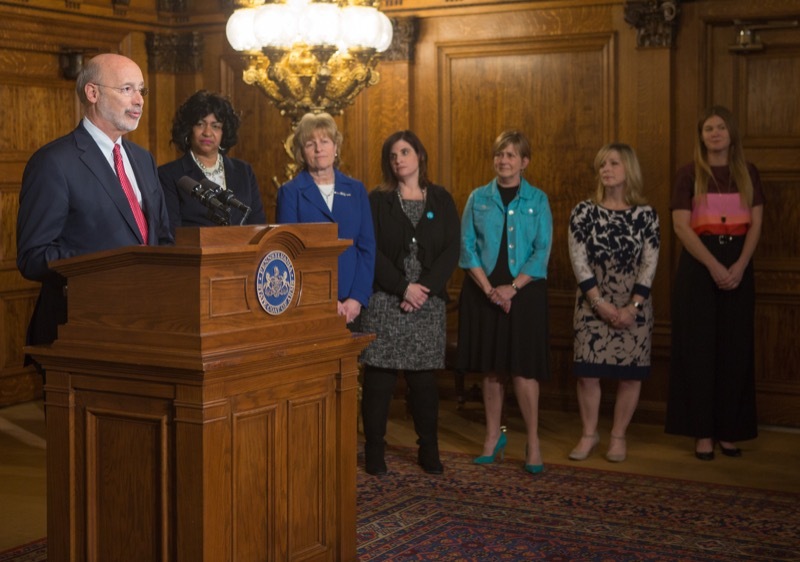 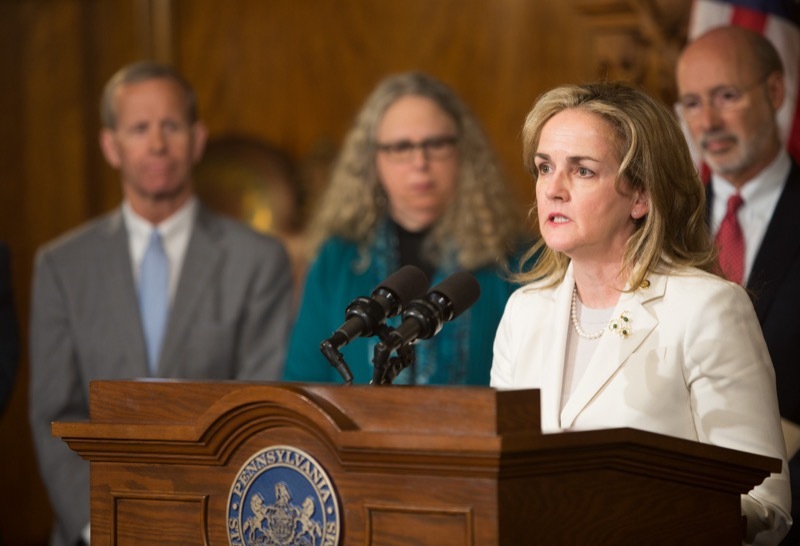 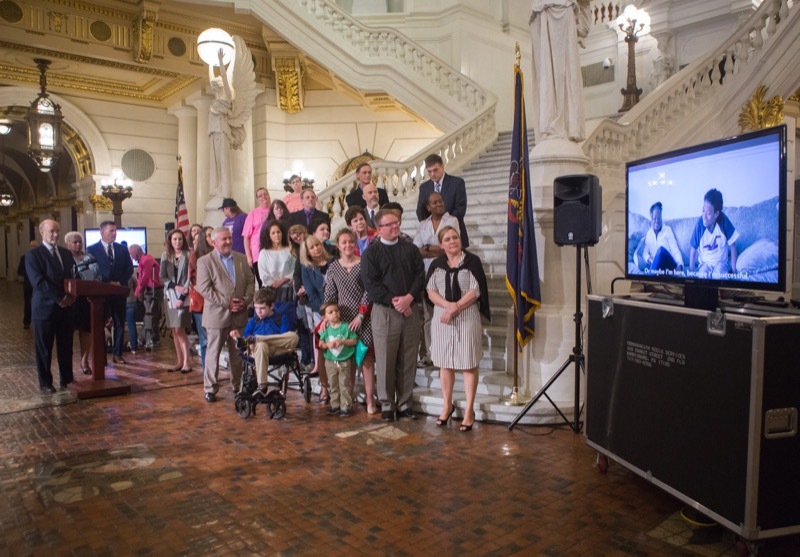 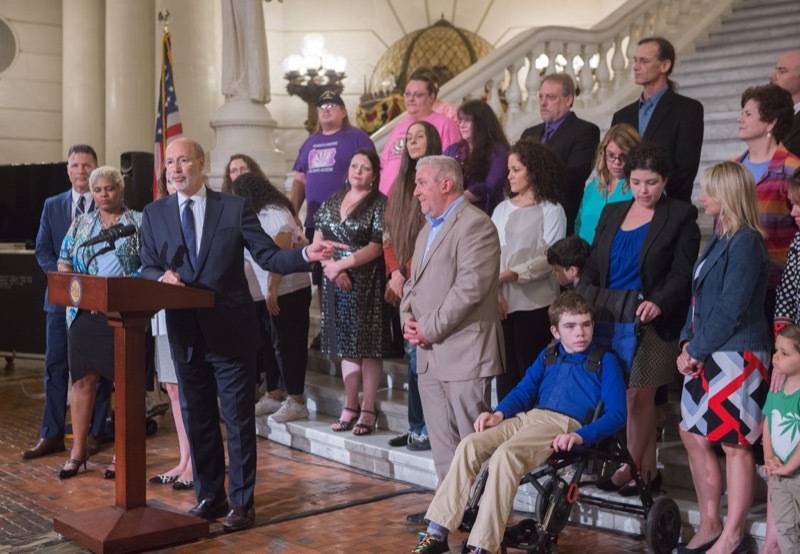 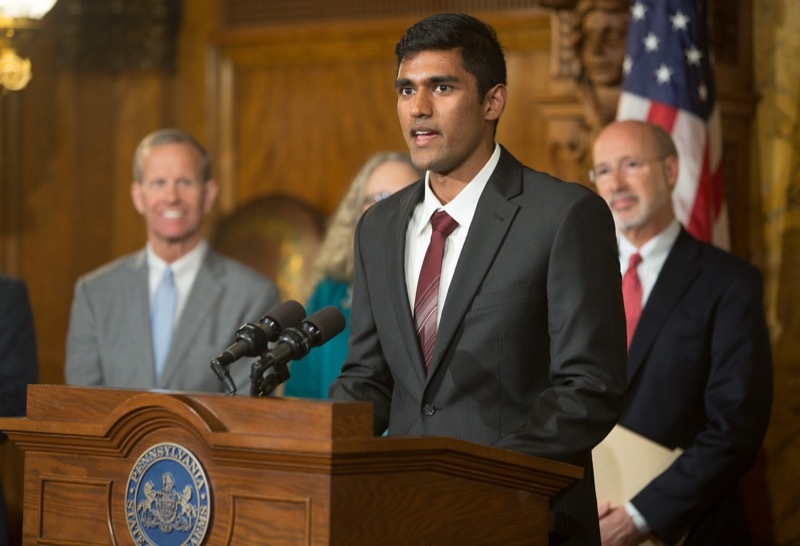 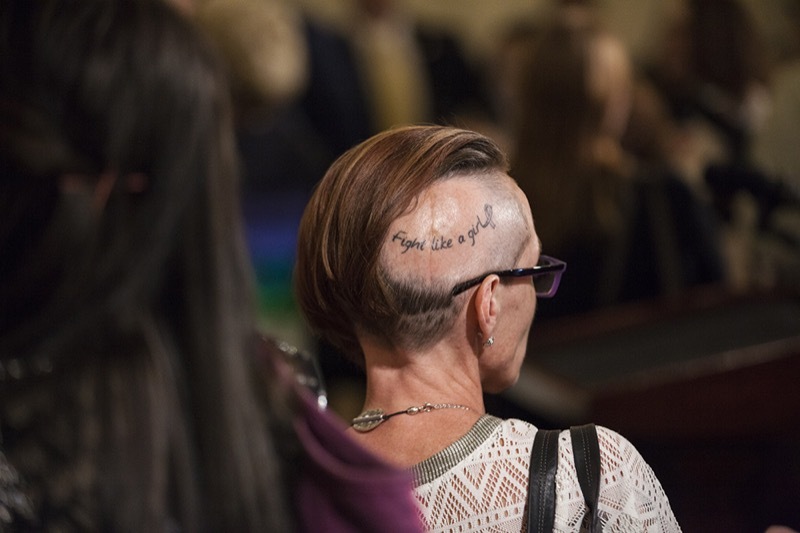 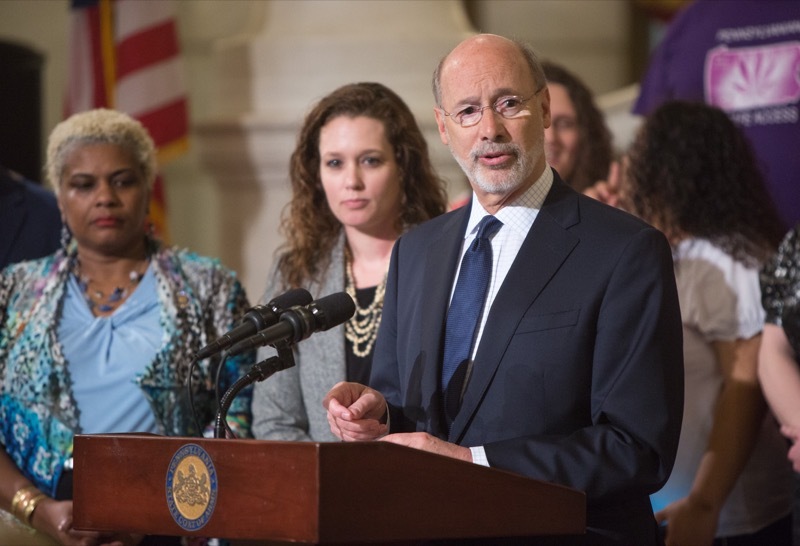 As part of his 'It's On Us PA' campaign to protect Pennsylvania students from a nationwide epidemic of sexual violence, Governor Tom Wolf today announced the introduction of six new pieces of legislation.